Address: Marine Resource Centre, Barcaldine, Oban, Argyll. 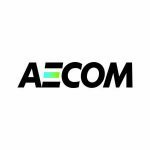 Short Business Description: AECOM are multi-disciplinary consultants who can provide the complete life cycle of services for your hydropower project. This includes site finding, feasibility and concept design, through to consenting, planning and baseline surveys (in all environmental and social topics), to construction advice/supervision, post-consent advice and management, owners engineer, funding and financing, and detailed design services. Our UK experience covers all forms and scales of hdyropower – including pumped storage, with our lead environmental, technical and design team based in Edinburgh with support from over 25 offices across the UK. 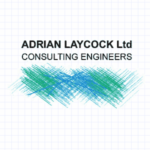 Allen Gordon LLP is an independent civil and structural engineering consultancy with a staff of 35 operating from offices in Inverness, Perth and Stirling. We specialise in the civil and structural design of run-of-river hydro schemes and have worked on 60 projects from 50kW to 2MW. 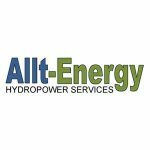 ALSTOM Power Ltd – Hydro Systems UK is a design and project management company specialising in the supply of new, and refurbishment of existing, equipment for hydro electric power generation. The Company is a UK based unit of one of the world’s largest and most experienced design authorities and suppliers of hydro electric generators, turbines and balance of plant. The scope of supply and services extends from the supply of components to the turnkey supply, installation and commissioning of complete new or refurbishment and updating of existing hydro electric power stations. The Company retains the original design data for water turbines manufactured by English Electric and Neyrpic Ltd, and for generators manufactured by Metropolitan Vickers, BTH, AEI and GEC. Two x 500 kW hydro schemes in Highland Perthsire. Baileys & Partners LLP is a bilingual family run Chartered Surveyor practice based in the Snowdonia National Park, North Wales regulated by the Royal Institution of Chartered Surveyors (RICS). We have an impressive resume in energy consultancy and project management and succeed by offering independent advice founded upon experience. We participate in the Natural Resources Wales Hydropower Steering Group and have attended meetings with the relevant Ministers where required to make representations alongside, and on behalf of the British Hydropower Association. 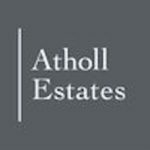 Our services include assisting private and institutional clients with planning, licensing and flood defence consent applications. We also help with private Power Purchase Agreements and have acted in an Expert Witness capacity in relation to hydropower where required. 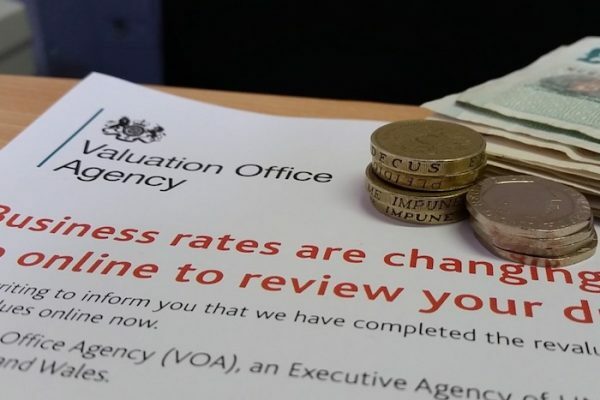 In addition we offer Alternative Dispute Resolution (ADR) services (we are RICS approved) and valuation services related to hydro and energy more generally. Commitment, quality, innovation and personal service are our cornerstones. and we are one of the leading consultancies in the high-growth renewables, forestry, and agriculture markets. Our Energy & Renewables team recognise the challenges in the industry and face them head on, providing expert property advice in hydro, wind, solar and battery storage developments and associated infrastructure projects. With 630MW of wind and 20+MW of hydro schemes constructed and commissioned on client properties over the last two years, we have established ourselves as one of the leading authorities in the property sector. Founded in 1839, today Bidwells manages over £5.2 billion in property assets and employs 500 people in England and Scotland. 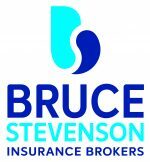 Bruce Stevenson Insurance Brokers is recognised as the leading renewable insurance broker to the sector, with over 20 years experience. Our specialist team provides a comprehensive range of insurance solutions and with our breath of knowledge we can anticipate all the major challenges project developer face. Longstanding and excellent associations with the leading renewable energy insurers ensures our clients receive the best protection available. A 500kW scheme commissioned in 2014, operating a Newmills turbine with vertically installed twin-jet Pelton, designed and built in Northern Ireland. 150m head with catchment development proposed for ecological enhancement of a unique wetland habitat. Buckny Hydro is the renewable energy component in a wider diversification of the environment, including consideration of wildlife habitat, forestry, local business and amenities, tourism and education. Manufacturers of high pressure air compressors. Typical applications; Turbine Govenor Control and Turbine Blowdown (tail water depression). 5-760m3/h (3-450cfm) – 10-100 barg (150-1500 psig). Gilkes offer a reputable single source solution for a range of hydropower turbines, providing efficient, clean, renewable energy. Our range of Pelton, Francis and Turgo Turbines are capable of generating up to 30MW per unit with a Streamline range designed for the sub 1MW market and compact solutions for the 50kW to 100kW market. Having manufactured over 6800 turbines, Gilkes offers complete water to wire solutions for small hydroelectric developments both in the UK and Overseas. With service centres in Fort William and Invergordon Gilkes offer tailored long-term electro-mechanical service contracts, site surveys & condition assessment, breakdown service, control system upgrades & reprogramming and replacement turbine components. 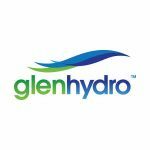 Glen Hydro specialises in the assessment, design, installation and project management of all types of micro-hydro schemes throughout Scotland. We specialise in the design and installation of micro-hydro systems ranging in capacity from 2 to 200 kW. Our design methodologies and operating procedures have been tailored to minimise overheads and improve the feasibility of schemes within this band. 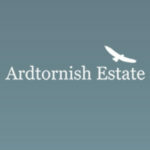 We operate throughout Scotland and can take sites all the way from concept to commissioning. We also offer a range of maintenance services. – Site Services: Supervision of installation, commissioning and performance testing. JBA is a water environment and engineering consultancy specialising in managing weather and environmental risks and opportunities for clients in the following sectors: energy and utilities; government & regulatory; sustainable development, third sector, transport & infrastructure. We have an internationally-recognised specialism in hydraulic modelling and flood mapping, having competed on the EA’s principal flood risk management consultancy framework contract for the last 17 years. 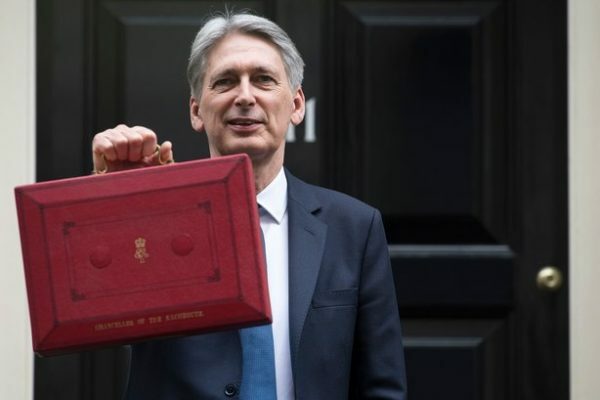 We are also on NRW’s Expert Marine & Coastal Casework Framework, Welsh Government’s Construction Consultancy infrastructure framework, SEPA’s Flood Risk Framework for hydraulic modelling, flood forecasting and survey and OPW’s Framework for provision of Environmental Consultancy Services for Flood Risk Management. a Virtual Power Plant. Limejump is the Future of Energy. MEG Renewables is a developer of small to medium scale hydro schemes between 300kW and 2MW.åÊ Our aim is to develop projects which generate green energy for the M&Co retail business, which we are a subsidiary of. As an independent and privately funded developer, MEG Renewables provides the risk captial to progress projects through each of the development stages.åÊ We are able to offer a range of financial options to landowners, ranging from a straightforward rental arrangement through to share equity partnerships. We are currently seeking opportunities with landowners who think they may have a river with potential, or who have partly progressed aåÊscheme, but need a development partner for technical and funding assistance. 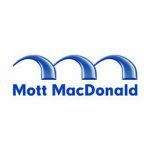 Mott MacDonald is an employee-owned management, engineering and development consultancy with more than 80 years experience of hydro power in the UK and worldwide. Our experience and services include screening and feasibility studies, site selection and investigation, procurement, design and construction of all sizes of hydroelectric, pumped storage and tidal barrage schemes. These range from mini hydro-electric projects of less than 100 kW capacity to major international projects of 5GW, with or without reservoir storage, and which include both low head mill weirs and highland run of river schemes. We have specialist in-house expertise in project economics, power system studies, planning and environmental services, hydraulics, dam and reservoir engineering, tunnelling, civil engineering, electrical and mechanical engineering, transmission lines and operation and maintenance. Osspower aims to develop four run-of-river schemes totalling 6.1MW on separate watercourses near Crianlarich, Stirling, Scotland. The first 2MW scheme commenced construction in 2011 and is expected to be operational mid 2012. The three remaining schemes are fully consented and will be constructed as soon as possible. 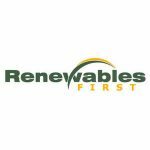 Renewables First is one of the UK’s leading small and medium-scale hydropower consultancy, design and installation companies. Established for over seventeen years, we have a proven track record of providing full project capability offering consultancy, feasibility, detailed design, contenting, construction, commissioning and O&M services for hydropower systems across the UK. Our highly skilled and experienced team of engineers enables us to deliver high quality reliable systems that are optimised for maximum energy generation and minimum downtime. We have a large number of private and commercial customers including acting as principal consultants for several utility companies, along with a large number private companies and private landowners. We also have expert capability in the design and delivery of medium-scale wind and Water Source Heat Pump projects. River Energy Systems specialises in taking a product, project or company from concept to commercial realisation.åÊ We have a wide ranging experience across many industries and use this experience to develop projects in diverse fields.åÊ Our experience in oil and gas, transport, construction and nuclear energy equips us with the knowledge and contacts to drive every project towards completion.åÊ With a focus on renewables, we have experience in Biomass, Anaerobic Digestion, Wind, Wave, Tidal and Hydro projects, with a proven track record of successfully converting ideas into commercial success. We currently manage the River Energy Systems Hydro project which is an innovative in-river hydro device which requires no civil works and whose turbine blade never travels faster than the speed of the flowing water. RWE npower renewables is the UK subsidiary of RWE Innogy and is one of the UK’s leading renewables energy developers and operators, committed to developing and operating wind farms and hydro plants to produce sustainable electricity. The company operates 17 hydroelectric power projects and 22 wind farms in the UK, including the country’s first major offshore wind farm, North Hoyle. RWE npower renewables is also working with marine energy technology partners to deliver new wave and tidal stream power projects in the UK. We are currently builiding a 100 KW scheme and will be generating in February 2013. We have been developing run-of-river hydro schemes since 2007, identifying potential and implementing innovative development strategies in order to progress projects through every step of the development cycle. We work with Landowners, Government Agencies, Utility Companies, Communities and Multinational Business to provide bespoke, turnkey solutions to deliver hydropower potential. We have extensive in-house capability covering planning, development, and funding as well as Civil, Mechanical and Electrical Engineering. Since 2007 we have grown to become the largest independent hydro developer in the UK. 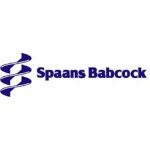 Spaans Babcock was established in 1897 and has been supplying equipment into the water industry since this date. The company are the World’s largest supplier of Archimedes Screws having thousands of screws installed throughout the UK & tens of thousands worldwide. Archimedes “Screw generators” are perfectly suited to low head applications, they offer several advantages over alternative technologies including no requirement for fine screens, fish friendliness, non-blocking and low maintenance due to the simple & robust design. The Screw generator is offered in various alternative designs to suit given site circumstances. Spaans have agreements in place with many of the UK Water companies & agencies for the design, manufacture, supply, installation and maintenance of their equipment. Centrally based in Heywood, the company offers a full range of services from supply only contracts through to development of complete bespoke packages. Project management is handled by the companies own project teams and the company has its own SHE officer to ensure compliance with the stringent UK requirements. All installation and maintenance work is handled by in house teams of engineers. Sustainable Control Systems (SCS) were established in 1999 and are the UK’s leading provider of control systems for the micro hydro industry. SCS controllers are designed specifically for hydro generation and more than 500 systems have been installed to date. End to end design and manufacture ensure an expert understanding of the system and cost effective solutions. SCS are experts in grid connection (single, split and three phase), off-grid systems, load management, monitoring and remote control. They also supply generators and for high head site Pelton turbines. The Forestry Commission is one of the UK’s Biggest Landowners with a total landholding of over 1million ha. The Commission is in the process of developing it’s own hydro renewable resource both in partnership with the private sector and utilising our own in-house experience. TLS Hydro develops, own and operates hydro-electric power stations throughout Scotland, England and Wales. Specialising in small-scale developments, we have a record of successfully developing new run-of-river and storage sites. We also have considerable experience in the renovation and refurbishment of disused hydro schemes. If you have access to a watercourse that you believe could be developed for hydropower, or you are looking for a partner in a joint venture, then we would be happy to hear from you. Our sister company, LoCO2 Energy, is a green electricity retail business registered for FiTs. If you have a power station, we would like to purchase your output so please get in touch for a quote. 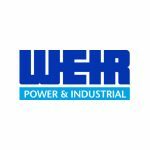 Weir Power & Industrial – a division of FTSE 100 company The Weir Group PLC – delivers excellent engineering solutions to customers worldwide. supplier and installer of large equipment for the hydroelectric and water distribution industries specialising in the design, manufacture, upgrade and servicing of high-performance hydro-turbines and pumps. Our strategically-placed service centres supported by a network of partnerships ensure that Weir Power & Industrial can deliver innovative engineered solutions which enhance the performance and lifespan of your equipment, thus improving the efficiency of your hydro operation. Visit www.weirpowerindustrial.com for further information on our excellent hydro power solutions.